My family is currently navigating a transition. My oldest son is married and a dad and has recently become an airman in the United States Air force; my middle son is in high school and involved in many different activities, sports, and interests; and my daughter isn’t far behind. Since the day my eyes first locked with theirs, I have felt a deep responsibility to guide my children in the way that they should go. Not unlike many of you, I have believed over the years that my children could be surgeons, politicians (yikes! ), involved in ministry, astronauts, or members of the armed forces. The sky is the limit. However, there is a phenomenon that occurs somewhere in the journey from childhood to adulthood that many of us have experienced but few discuss. When my children were young, Madi was about two and Jake four, Madi was sick and needed to go to the doctor. It so happened that Jake had a well-check visit coming up in the next few days, so out of convenience, I rescheduled his appointment to kill two birds with one stone. Jake had endured several earaches etc. in his short little lifetime, and he HATED shots. He used to call them stickers; and when we would head to the doctor, he would say, “I don’t want a sticker!” It took me a while to realize that he wasn’t talking about the Buzz Lightyear sticker at the checkout counter, but the shot, or sticker as he called it, which actually earned him a Buzz! Anyway, I decided not to tell Jake ahead of time that he would be seeing Dr. Young as well. Sometimes that same scenario happens to us in adulthood: We are going along with life by the horns. All systems are a go and life is good. But, unbeknownst to us, we have an appointment for a checkup. I had a checkup recently when our oldest son, Tanner, joined the Air Force, swore in, and boarded a plane. Now, don’t get me wrong, I love this country, and I love and admire our military. I am proud to be an American, and I am so proud of the men and women who protect and defend us. But as a mom, watching my son raise his right hand and take an oath, and then watching as he literally steps into a new destiny—if I am honest, it about broke my heart. I had other plans. I wanted him to live ten minutes from me so that I could see my grandchildren a few times a week. My plan was to attend their sporting events and school plays and to have Fab Fridays at GiGi’s house. I was comfortable and my plans were safe. My plans were interrupted. 1) I learned that our children are only ours for a short time and even then we hold them with an open hand. 2) I learned that just because the plan wasn’t my plan, it doesn’t make it the wrong plan. 3) I learned that my son is a man, a man with eternity and adventure in his heart and now is his time to live. 4) I learned once more that, when I prayed for my little boy, God listened. I asked the Lord to protect him and direct him. I asked the Lord to show him the way to go and never let him get too far away to hear His still, small voice. I asked Him to make my little boy a great man. I don’t like checkups, but I needed a booster shot. I got one. The Lord reminded me that good enough isn’t good enough. We are all called to greatness, to make an impact. I don’t like “stickers” either, but I am thankful for the injection of faith and hope I received. There comes a point when we mourn the loss of our own hopes and dreams for our children. Some teens go through a time of rebellion and we must reevaluate our plans for their future; however, many teens do not go through a time of rebelling, and I certainly do not believe we should anticipate rebellion in our own teenagers. But even when they stay on target, it is likely, as parents, we will find ourselves having to lay down our dreams for them. I remember a day of deep sobs and much emotion as I asked the Lord to help me with my teenagers. 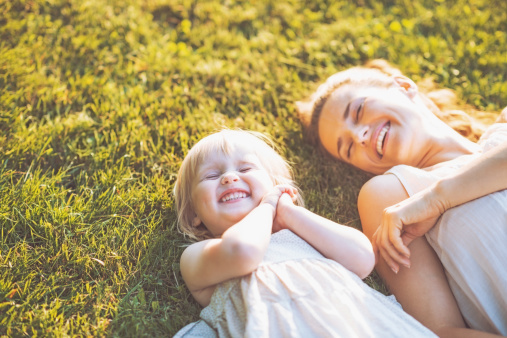 Hearing Him gently whisper to that not only was I not in control, but that I really never was, I began to accept that only the Lord knows the plans He has for my children. It is outside of my control. I began a process of laying down my expectations of their future and mourning the loss of those dreams while taking hope in the truth that His ways are not our ways and that His plans are always greater than ours. I certainly don’t have it down, but I am seeking the Lord for glimpses of His callings for my children, and I am praying that they would be strong and prepared in all seasons. One of the heaviest burdens we bear is for our children. We feel such responsibility. We are responsible for their physical needs being met, for pointing them to Christ, for encouraging their passions, for fostering a healthy relationship with them, for loving them, and certainly there are many more burdens we could add to this list. But one thing occurred to me while pondering my children’s futures: I am not responsible for their calling, their purpose. Thank heaven. I still have days when I wonder what my own calling is and, especially on those days, I am thankful that our Father has plans. We don’t have to be the architects of our teens’ futures. Our job is simply to strengthen them spiritually and teach them to love Him first and love others as themselves. The purposes and callings of our children are not our responsibility. I don’t know about you, but that sure relieved some pressure for me. “For I know the plans I have for you,’ declares the Lord.” (Jeremiah 29:11) It’s not for us to research or demand. It’s between the two of them. He has a unique plan for each of them, and He’s working out His plans. Our part is to teach them to listen for Him. In my mind, God’s favorite game is hide-and-seek. He loves thrill and loves to be found. He isn’t hiding from us, but He so desires to be sought. Teach your kids to play along. Candy Gibbs is the executive director of the CareNet Pregnancy Centers. 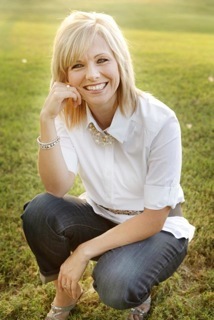 She is the author of Rescue: Raising Teens in a Drowning Culture, as well as Chosen and Pearls, curriculum for pre-teen and teenage girls,and encourages hundreds of parents through her blog, CandyGibbs.com. She and her husband Brian make their home in Bushland, Texas with their teenage son and daughter. Their adult son is a US Airman currently serving in Montana withtheir daughter-in-law and two precious grandchildren. Find Candy on Facebook and Twitter!